Just watch the pedestrians walking down a busy sidewalk, coffee in one hand and phone in the other. Or people sitting on a park bench or on a bus, gazes fixed on their mobile devices—unknowingly shutting themselves off from the rest of the world. Okay, so maybe you know that mobile advertising can be powerful. But you also know that your failed mobile campaigns will tell you that working off statistics and “what could be” is not enough. Just because everyone and their mother use mobile phones doesn’t mean your mobile ads will be effective—let alone be enough to pry people away from their phone comas. Your ads need to engage and capture attention to get noticed. In this article, we will provide some tips on how to increase engagement and conversions with your mobile ads. WHY Are Mobile Ads so Effective? If you are only launching desktop ads, you limit your advertising potential to the time your targets are on the computer. What about the 40+ hours a week they are away from their computer? This is when they have their phones in full gear, which gives you another opportunity to catch your prospects on the go, no matter where they are. Mobile ads enable you to customize ads based on user location and device, or even the time of day. You can even launch your ads more frequently as a user gets closer to your target location. These hyper-targeted ads get noticed because they catch the consumer at the ideal time, place, and season. Let’s say you are offering 50% off lattes at your cafe during the Christmas season. Running holiday-focused promotional ads to consumers once they land within one mile of your locale increases the chances of conversions. You have probably read your fair share of marketing blogs that tout the amazingness of mobile ads, ad nauseam. Heck, we do it too. Are mobile ads important for business? We’d say so. But only if you execute them correctly. Look, we all know that people are glued to their phones and that’s probably enough data to try your hand at mobile ads. That and the idea that ignoring mobile advertising could exclude you from the growing ranks of marketing fame. So we just mentioned that location, timing, and accessibility are all key factors that make mobile ads so effective, right? 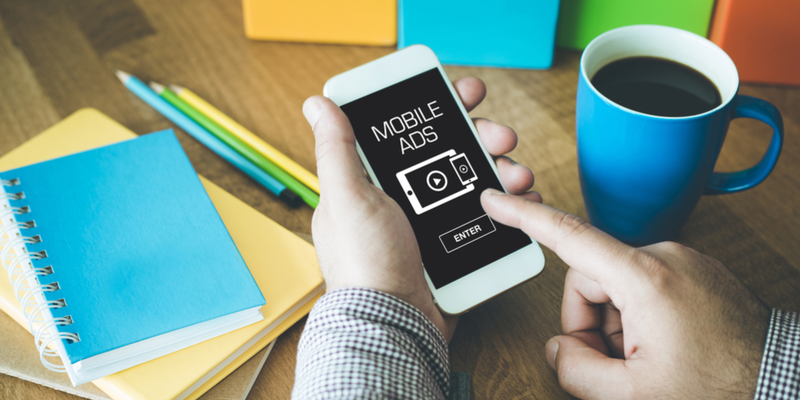 While these factors all play a vital role in mobile ad campaign success, it doesn’t mean that leveraging them will guarantee a winning mobile campaign. In fact, we hate to burst your bubble, but most first-time mobile ad campaigns we see companies run are total flops. That’s because mobile ads are only effective and engaging to your audience when there is a strategy behind them (goals + testing). So stop blindly posting random mobile ads just because 5 of your favorite blogs told you to do so. One ad we often see abused is the location-based ad. Just because you run a physical location, it doesn’t always mean a location-based ad will perform the best. In fact, on average, consumers are most receptive to advertisements while watching television at home, especially the millennial crowd (ages 22-38). This is why you can’t blindly post mobile ads when and where YOU think your users will respond. Every mobile campaign will be different. The success of your mobile campaigns will hinge on your ability to determine when and where consumers will be most receptive to your messaging. And this takes time and testing. If you want to run a high-engaging mobile ad campaign, the first step is to figure out your goals. What is it you want your consumers to do? What would define a conversion? Defining your goal will help you map out the path your consumers will take from the first interaction to the conversion. This path will inform your ad creative, time, and location, as well as allow you to track your results effectively. Tracking your results is CRITICAL. Because as we said before, you may need to test different locations, creatives, and timing to determine your targets’ receptivity. If you don’t know which ads are meeting your goals and triggering conversions, well, you don’t need us to tell you that you are wasting money. Location – If you have a physical store location, this is a wise move. Time – Your audience may prefer to shop while they are lounging on the couch instead of on the go. Don’t assume you know what time your customers will be most receptive. Test, test, and test some more. Creative – Test different creative options. What type of visuals does your audience respond to? Test varying copy, themes, images, and colors. Ad types – There are multiple mobile ad options (banners, videos, text, call-only). The highest performer will depend on your goal, your offer, and your audience. Desktop or mobile – We are all about mobile ads here at Viral Solutions, but that doesn’t mean we recommend every client use them. Just because you have a product to sell doesn’t mean you should advertise it on mobile. It will depend on the promotion type, cost for user to convert, and ad type. For example, if you are selling a high-ticket item such as a $1,400 digital course, a mobile banner ad is likely not the way to go. Your audience will need to build up trust first before they fork over that much money. Mobile ads for high-ticket digital items such as these would be better suited to get future customers to opt in to your email campaigns first or connect with you on social to get more acquainted with your brand. Don’t just randomly create an ad and post it to every user. That’s lazy, and you know it. Use customer data to inform your ad campaigns. Tailor ads to users’ location or other physical demographic (new mother, recently engaged, etc.). Track user behavior on your site and retarget them with ads based on which pages they visited. Offer product recommendations based on previous searches. 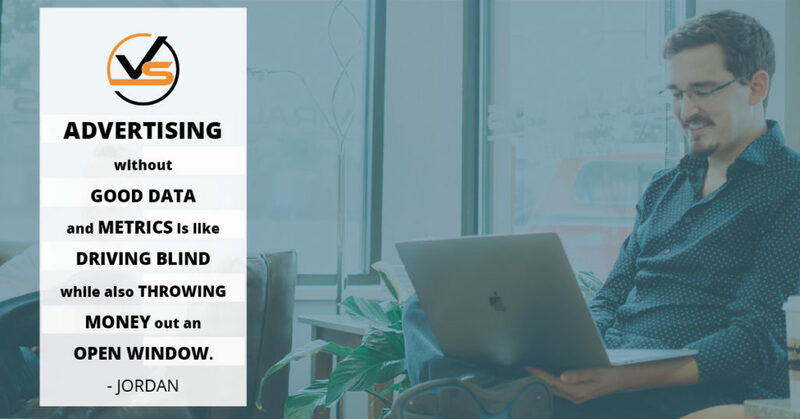 Google Analytics can become a gold mine of information if you know how to leverage its data to target your audience based on their search history. You can find more information on how to do this here. The KEY to personalization is to make your ads more relevant so they aren’t a nuisance to your audience. Give your audience exactly what they want based on their preferences and behavior, and your conversions should increase as a result. Your desktop ads are cranking, and your conversions are above average. Congrats! You run the exact same ads on mobile, and your results tank. Did you really think you could get away that easy? We know it’s tempting to use the same ad type and creative you did on desktop for your mobile campaigns. You are saving time and money, right? Before you pat yourself on the back, you should know that mobile users exhibit different behaviors than desktop users. They likely won’t respond to the same ad type. And since 85% of users are unlikely to forgive bad mobile experiences, you’ve got a little work to do before you fire up your campaigns. You can’t take shortcuts when it comes to mobile ads. Cater to mobile behavior and experience and optimize mobile ads (and landing pages) before you test your campaigns. 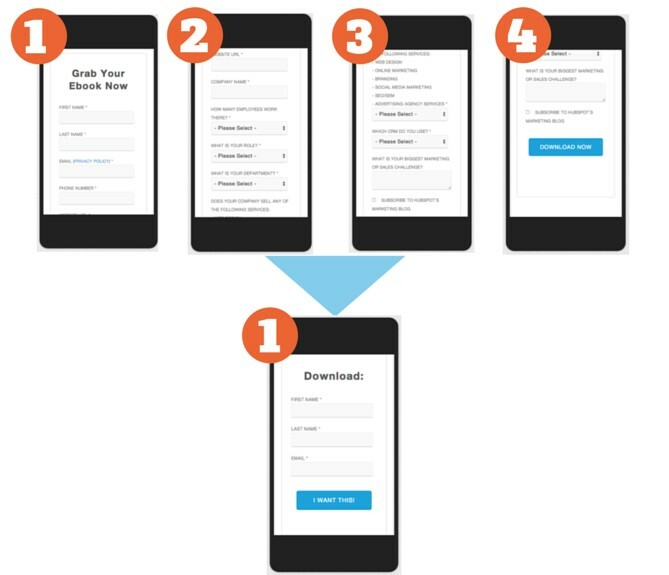 Slow-loading mobile pages deter users from visiting your landing pages. You already know that internet users have short attention spans. You don’t need us to tell you that mobile users are typically “on the go” and won’t stick around for your bloated, un-optimized website to load. So what’s the solution? Get your mobile site page loading speed to 3 seconds or less. One of the easiest ways to speed up your mobile site is to make your pages lighter by compressing your images and text. According to Daniel An, 25% of pages could save more than 250KB and 10% can save more than 1MB. If you can’t compress your images, remove them. Unless they are essential to your web page, they may just bloat the site and decrease conversions because your site will take too long to load. When it comes to mobile websites, bigger is NOT better. In fact, when it comes to mobile, the smaller, the better. Mobile optimization is all about keeping users on your page instead of unknowingly encouraging them to bounce. Typical bounces happen due to bloated text and excessive images. Long forms can also deter users from reading and entering their data. Keep your text and imaging streamlined and easy to read on your landing pages. By shrinking its text and forms and leveraging smart content, HubSpot decreased its mobile landing page bounce rates (which affected conversion rates) an average of 27%. Aside from slowing down your page and making your pages harder to digest, poorly optimized landing pages and websites can damage your reputation and cause your mobile visitors to lose trust in your brand. Mobile optimization is centered on optimizing your users’ experience. A better experience equates to users clicking your ads and staying on your web pages, which leads to higher conversions. Are My Current Mobile Ad Conversions Good Enough? So, you invest resources into optimizing your campaigns and increase your conversion rates as a result. How do you know if your conversions are good enough? WordStream lists Google mobile ads benchmarks per industry here. Use this as a very loose guide, but never stop testing to get better results. Have you tried mobile ads? If not, are you ready to test some campaigns? 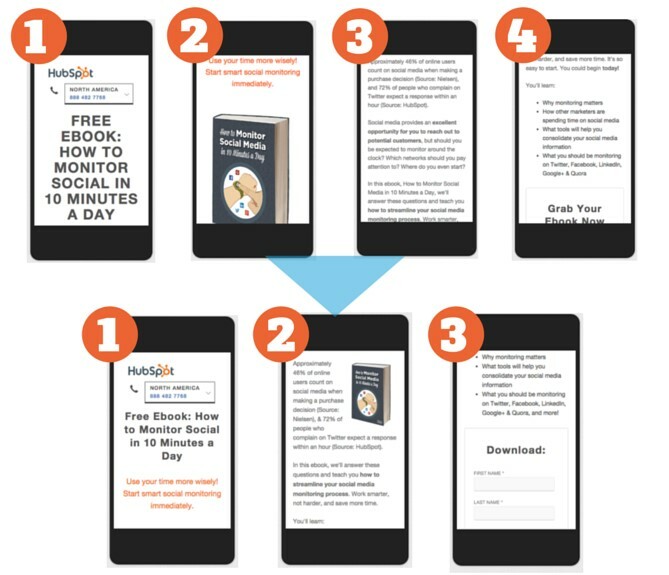 We just barely scratched the surface on how to boost mobile ad conversions. Plus, it’s impossible to give blanket advice 100% of the time, as your mobile ads will be unique to your audience. What works for one company may not work for another (even if you are in the same industry). Try some of these conversion-boosting techniques and test, test, and test some more. If your conversions are still tanking, give us a call and let’s talk. We’ve been doing this a while and we don’t like to lose.